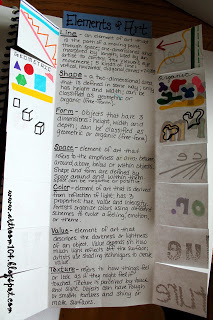 To help jog your memory of the literal & visual definitions of the Elements of Art you are going to create an info-graphic resource to go into your sketchbook! Go to your EOA Note Guide or to the Prezi link below and fill out the definition for all the Elements of Art. The definition of the EOA should be written under the flap of that belongs to that EOA.